As a product engineer, your mission is to manifest continuous improvement of the Asana experience for all our customers. You’ll dream big but take small iterative steps towards your goals. You’ll relish the feedback you get in every step of the development lifecycle, from continuous deployment to post-launch feedback from our wide range of customers. You may work on modeling the work graph or on transcending UI design tradeoffs; often you’ll work on both in the same day. All our engineers identify as full-stack generalists, and the craftsmanship of product development is deep in Asana’s soul. Always leave the code better than you found it. You’re not just a coder. You’ll be part of the entire product process, from conception (be it at a hackathon or during Roadmap Week) to post-launch reflection. You must have deep empathy for both your coworkers and your users, to understand how you can work better together to help others work better together. Relocation offered. We’re glad to hear you’re interested this job. If you’d like to learn more about what we do—and the way we think—we recommend these links. 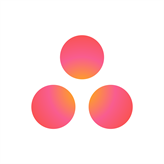 Learn more about Asana’s vision and where we are going. We’ve re-imagined how teamwork gets done through fast and flexible web and mobile applications. The friction of communicating the right amount of information, to the right people, at the right time, in the right place, gets in the way of teamwork. This friction lowers our collective productivity. We built Asana to improve the productivity of teams and increase the potential output of every team’s effort. At Asana, we’re building collaboration and communication software to help every team in the world optimize their efforts through fast, flexible and elegant web and mobile applications. We are rapidly becoming the preferred way for teams to collaborate at companies like Uber, Dropbox, and Pinterest. Want to get notified about new jobs at Asana?